With that said, interest continues to remain very high in Mammoth Lakes real estate. Buyers are still actively looking at properties online, making inquiries and scheduling showing appointments. Even though we’ve been through a few drought years, there is still some snow to ski on and it doesn’t change how beautiful this area is and all of the wonderful recreational opportunities it provides. Everything cycles in life, including the weather. This drought cycle will come to an end and it will snow heavily in Mammoth Lakes again. So, we all just have to wait it out and in the meantime, enjoy the beautiful weather! 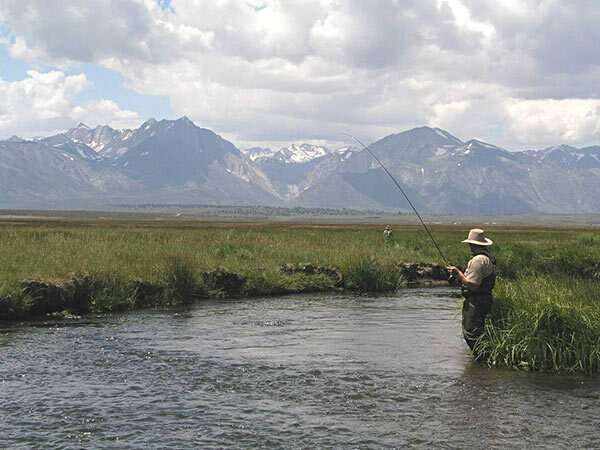 Check out the Mammoth Lakes Chamber of Commerce for detailed information on visiting or relocating to Mammoth Lakes. Courchevel #20 reduced in price to $289,000 offers a great location out of the available Courchevel condos for sale. This is a corner unit with 2 bedrooms, 2 baths and private 1-car garage. This townhouse is just a short walk to Canyon Lodge. The corner location offers extra windows, the unit has been partially upgraded and has 1,061 square feet and is being sold fully furnished. This condo was originally priced at $299,000 and was reduced in price this past week. The Courchevel complex is very well-maintained and has recently undergone some improvements to the common area. This condo has now been on the market for 244 days, which shows potential for a great deal. Meadowridge #12 originally listed for $409,000 and reduced this past week to $372,500. There are currently only two Meadowridge condos for sale. This is a 2-bedroom, 3-bath town house with 1,181 square feet, added and enclosed mud-room, remodeled kitchen and baths, in a full amenity resort complex with swimming pool, Jacuzzi, tennis court and across the street from the Sierra Star golf course. The Meadowridge complex also backs to the “Bell Parcel”, which is the scenic meadow located at the corner of Minaret and Meridian Blvd. You can’t beat this great location in the pine trees, which also has a convenient shuttle bus stop in front. For a turn-key and remodeled townhouse in a desirable area, this is a great price, which is in line with recently closed comparable sales. This upgraded condo is being sold fully-furnished and is ready for an offer. Mammoth Green #215, which originally listed for $539,000, was reduced this past week to $486,000. This is an incredible deal for a newer development built in 2002 in the Eagle Lodge project area, and situated on the golf course. This corner unit overlooks the swimming pool and Jacuzzi, offers golf course views, 3 bedrooms, 2 baths with 1,467 square feet, and unlimited propane included in the monthly HOA dues. There is underground parking complete with ski lockers and bike storage. Since the recently closed comparable sales at Solstice condos for sale as well as Mammoth Green condos for sale are in the $525,000 up to $575,000 range (for the same floor plan), this condo could potentially have some great upside potential in value. Snowcreek IV #514: This is a spacious townhouse with 3 bedrooms, 2.5 baths, laundry room, attached 2-car garage, with 2,230 square feet. Reduced this past week from $800,000 down to $785,900 (sold unfurnished), this town house features a spectacular setting right on the Snowcreek Meadow Preserve backing to ponds and offering amazing views. The kitchen has recently been upgraded with granite counters and new appliances. This is a very clean unit in pristine condition. Out of the available inventory for Snowcreek condos for sale, this is a “must see” in person to appreciate—a great value with the current price reduction considering the rarely available setting and views. 65 Starwood Drive reduced to $1,495,000 from the original list price of $1,599,000. This is an attractive home in the prestigious Starwood subdivision that backs to the Sierra Star golf course. This home has great curb appeal and features 4 bedrooms, 3.5 baths, attached 2-car garage, 3,484 square feet, 13,068 square foot lot, and was built in 2003. Current days on market are 153. The seller is clearly showing some signs of motivation with the recent price reduction, and this could potentially be a great deal and opportunity to own one of the Starwood homes for sale. This property is being sold unfurnished. As always, any questions regarding any listings in the area, feel free to contact me directly. Thanks for reading.